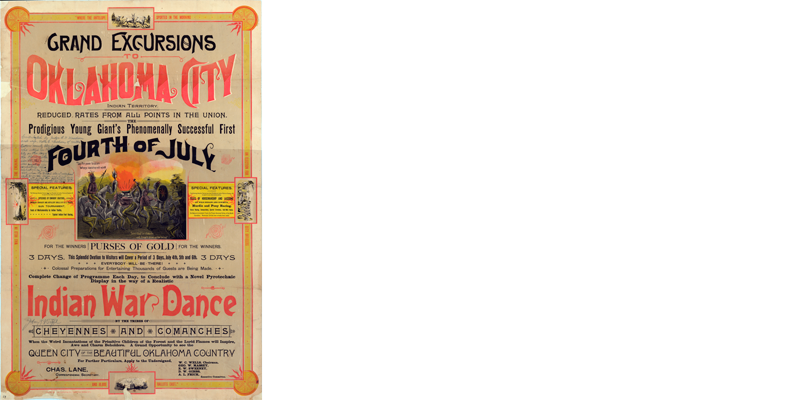 An extravagant three-day event plays out under a cloud of tragedy. 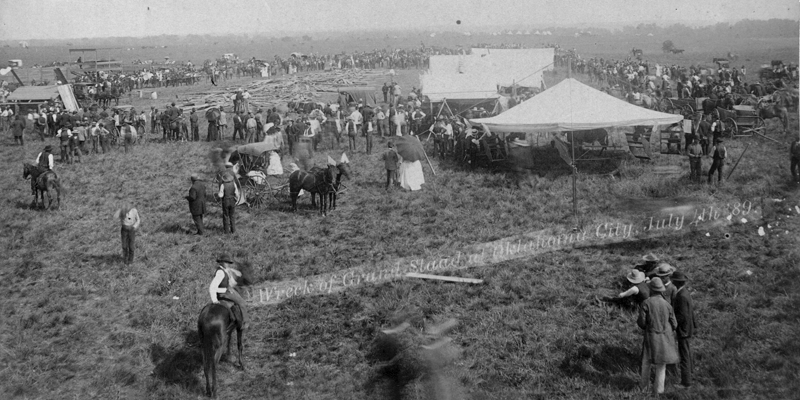 Oklahoma City was eager to showcase its can-do spirit with a first-class celebration on July 4, 1889. Promoters hoped to attract as many as 20,000 people. 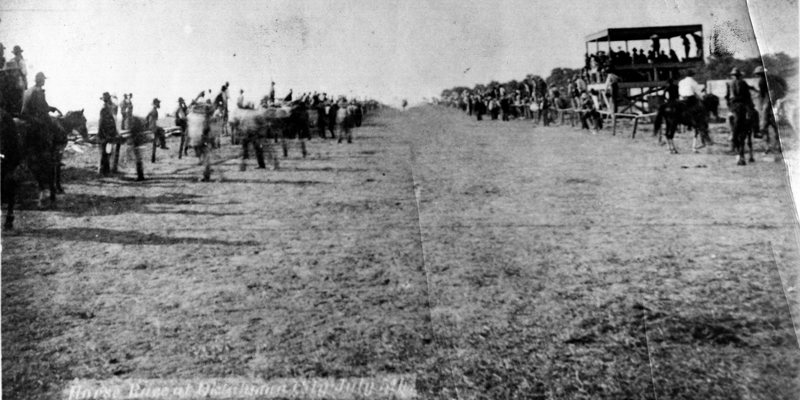 A baseball diamond, grandstand, and horse track were set up east of the Santa Fe tracks in the Military Reservation. Two hundred Cheyenne, Arapahoe, and Caddo Indians were brought in to entertain visitors. 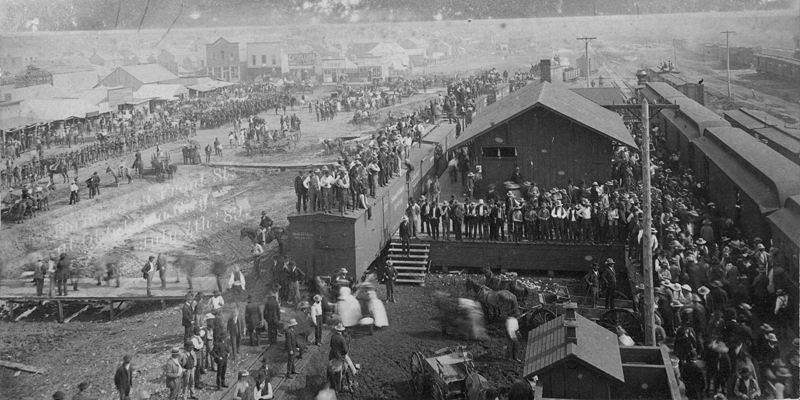 Events included a big parade, horse racing, feats of horsemanship, Indian war dances, a baseball game, and military drills. While the visitor turnout was far below expectations, the event that would be remembered as the "Fall of Babylon" occurred at 3:00 on the first afternoon. The grandstand above the refreshment stand collapsed killing one boy and injuring many others. What was planned as a great celebration finished its three day run under a cloud of unexpected tragedy.